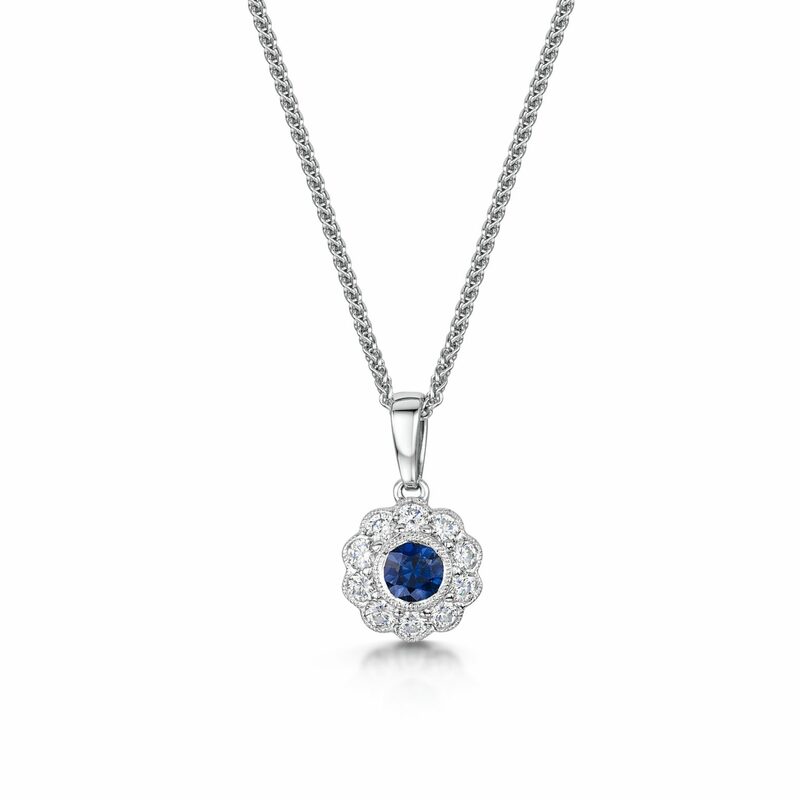 Vintage Sapphire & Diamond Halo Pendant. Centre Sapphire Claw Set in 18ct White Gold Mill Grain Vintage Style Setting. Surrounded by a Halo of Diamonds on an 18ct White Gold Chain.